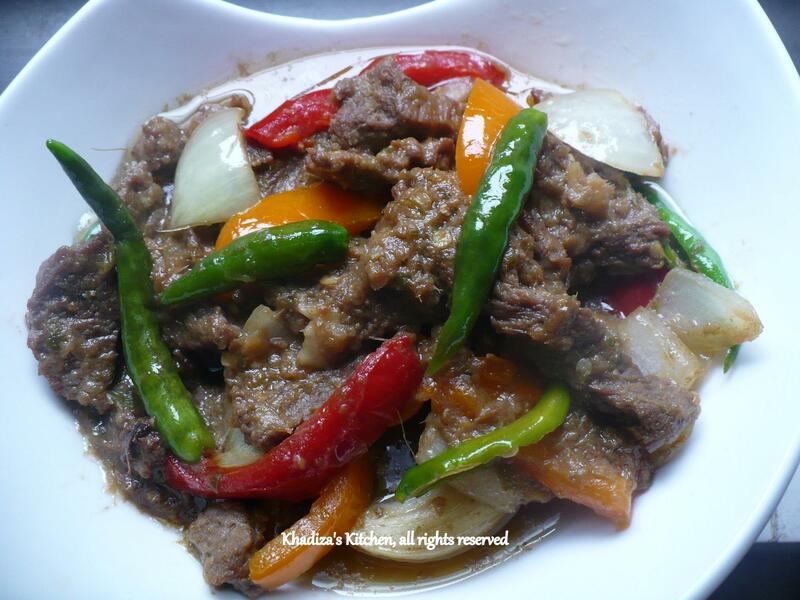 Tagged Beef recipe, Indo_Chinese Recipe, Stir Fried Beef with veggies, Vegetable. 1. Cut the meat into thin slices. Marinate them with ginger paste, light soy sauce, dark soy sauce, few drops of fish sauce, crushed black pepper, tasting salt and little salt, if needed ( since the sauces contains salt, it is better to use a little extra salt, if needed you may alwayz adjust it by adding at the end of your cooking)for minimum 2 hours. The longer, the better. 2. Heat oil, in a wok. Add finely chopped garlic and ginger in it. Fry it for a minute or so and then add the beef with marinade. Cook it on medium high flame until the water is almost dried out. Add little water to make the beef a little more tender. Cover the lid. 3. When the meat is done and water is drying out add little cornflour mixed in water, cubed onion, split green chili, and bell peppers …At the end mix it with roasted sesame (you may microwave the sesame seeds for few seconds).To sharpen the taste add some sugar. 1. 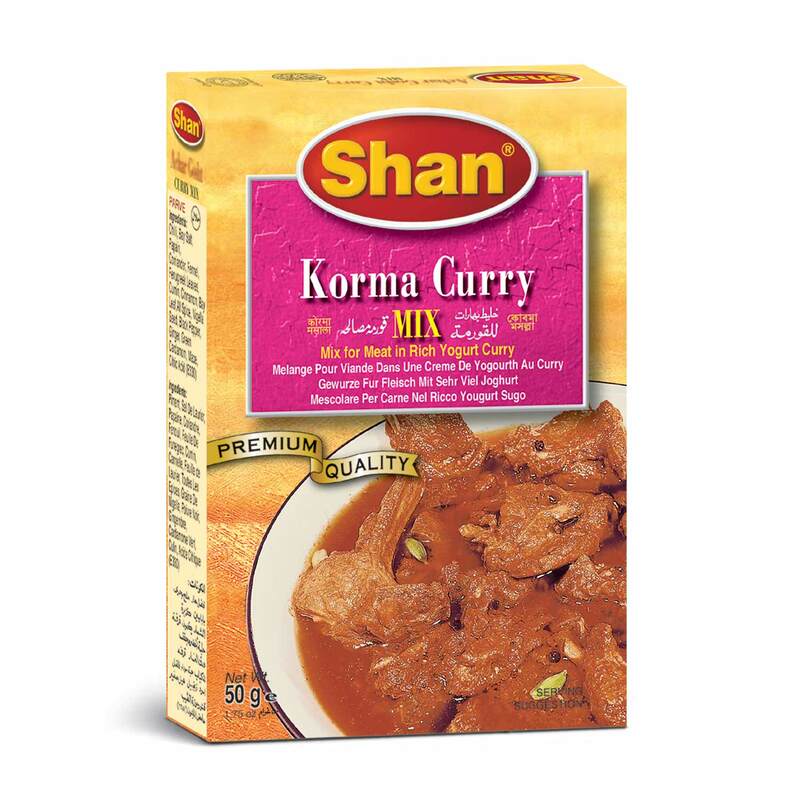 Take some pieces of beef from your leftover curry.Don’t take the gravy. 2. Break the meats using your hand. 3. Heat oil and deep fry the meat pieces until little crunchy. 4. Now in a pan heat oil. You can use the oil you fried the beef with.Add little amount of Cumin seed and fenugreek ( methi). 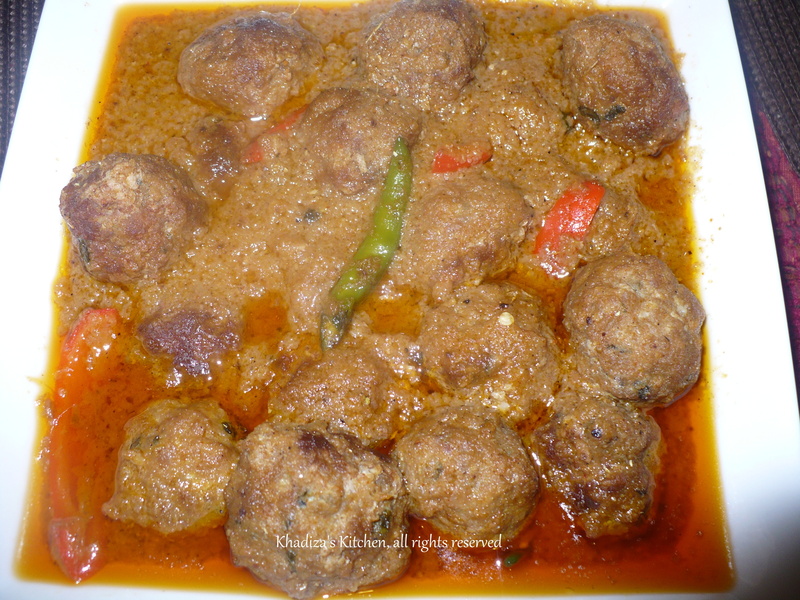 Add dried chili..Too much fenugreek may ruin the taste so be careful with that. This is something we call “foron” in Bangla. 5. Add sliced onion ( a fairly good amount).Fry then until tender. Add very little turmeric and chili powder. Now add the meat and fry. Sprinkle some salt.You may skip the turmeric and chili powder, won’t make any difference. 6. 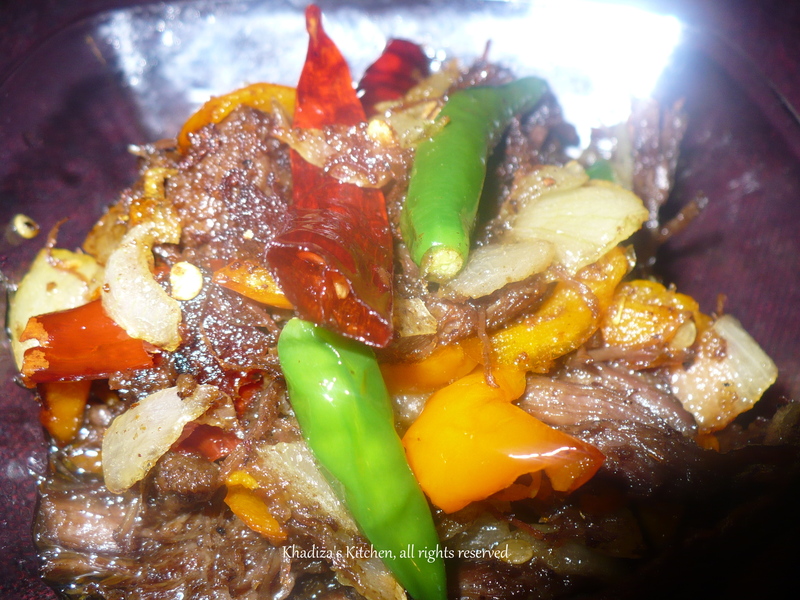 Add green chilies and chopped bell peppers..Fry a little while.